The nail-biting game apart, watching commercials is one of the most popular component of the Super Bowl. The networks know this and the companies acknowledge it, due to which a 30-second Super Bowl ad costs $5 million. This year, one of the commercials that caught everyone’s attention was car manufacturer Dodge Ram's Super Bowl advertisement, which lasted 1.07 minutes. The ad featured Martin Luther King Jr.’s “The Drum Major Instinct” speech, one of the last he had given, and people were not happy about it. 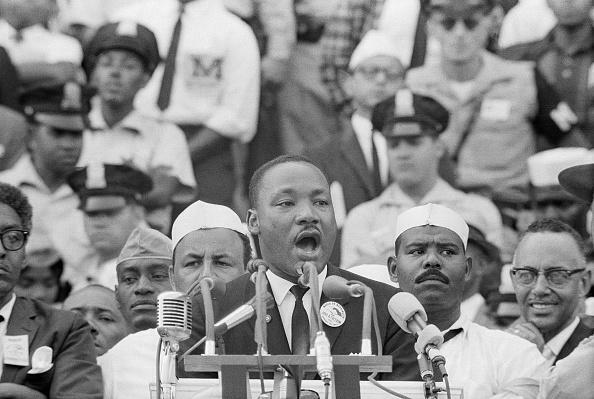 King delivered “The Drum Major Instinct” speech about achieving greatness through service on Feb. 4, 1968 — 50 years ago to be exact. The ad begins with the words “Dr. Martin Luther King, Jr.; February 4, 1968; Spoken 50 years ago; Today.” Then, parts of the speech such as “If you want to be important—wonderful. If you want to be recognized—wonderful. If you want to be great—wonderful,” can be heard. It then showcases military, fishermen, teachers, firefighters etc. on the job, while cutting to shots of the Dodge Ram trucks in between. The commercial ended with the tagline: Built to Serve. Watch the video here. People across social media have panned the commercial, with many saying it was inappropriate to use his speech to sell cars. The Martin Luther King Jr. Center for Nonviolent Social Change also tweeted about the commercial and said they did not approve of the use of Martin Luther King, Jr.’s words as part of the advertisement. Dodge has not released a statement addressing the backlash. Here are some of the other reactions. Washington Post reported last year Super Bowl commercials have increasingly become political in nature, be it the Budweiser ad that sympathized with immigrants or Airbnb’s equality-themed advertisement. The commercial supported Airbnb’s #weaccept campaign. But, not all politically-charged commercials are given a thumbs up by the network or National Football League. This year, the NFL rejected an ad which asked for donations to American Veterans. The reason for rejection was the large letters conveying the message “Please Stand,” during the national anthem.